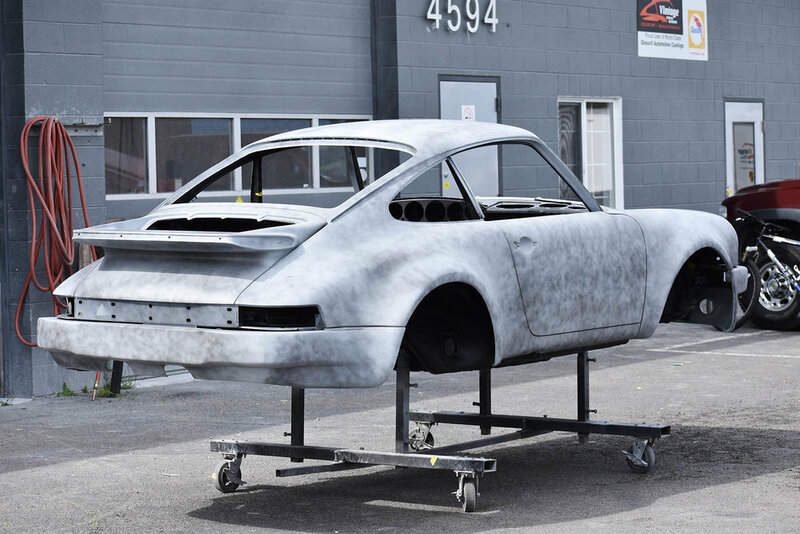 Here at VSR like everything else we accomplish, we take our painting process to an entire new level using nothing but top coat Glasurit finishes. Absolutely nothing substitutes excellent preparation on every area of the car. It takes a keen eye and much attention to details to achieve a flawless finish. We start by the skimming process of body filler where needed. Special designed blocks allow for flat and curved shapes. Our primers are formulated especially for blocking as many times as needed to achieve arrow straight panels. Prior to top coating with Glasurit we utilize a primer sealer which promotes adhesion and cover any final left over sand scratches from 400 grit paper. The final process of buffing and color sanding allows us to control the texture desire by our clients. Our ultimate goal is to leave the car glowing in luster.